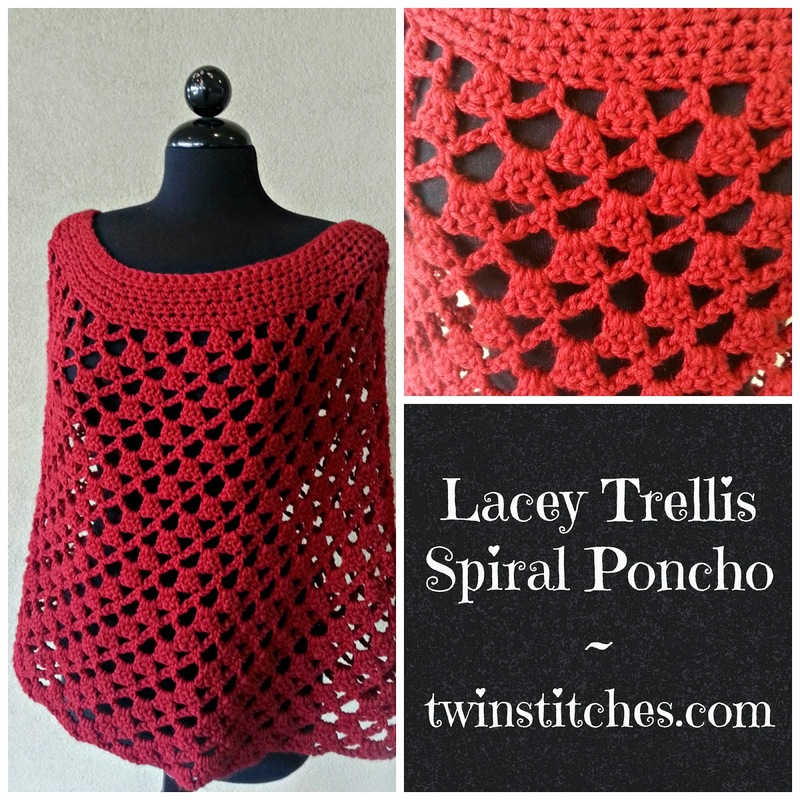 I'm writing today to let you know that I posted some major edits to the Lacey Trellis Spiral Poncho Pattern this morning. Have you ever written something, thought you saved your changes, and then realized that your edits did not save? That is what I encountered yesterday. A friend was making the poncho and wrote me a note about an error she saw. When I went back to look at the pattern, I realized that in my excitement of releasing it, I must not have clicked save when I finalized the pattern. If you have already started the poncho, I am really sorry about the error! I hope you will give the pattern another shot and I have great news for you. The error had to do with the number of counts of stitches you need before you start the trellis portion. In the original pattern, you needed to have a multiple of 8 plus 4. What you should have is a multiple of 8 total. To fix your piece, you can add 4 increases somewhere in your last increase row. I recommend spacing them out. This should not affect the overall look of the increase rows. Also, the trellis instructions have been edited. Please visit the pattern page for more information. I apologize for any frustration this may cause you. I feel terrible about this error and I hope you will give the pattern another chance!